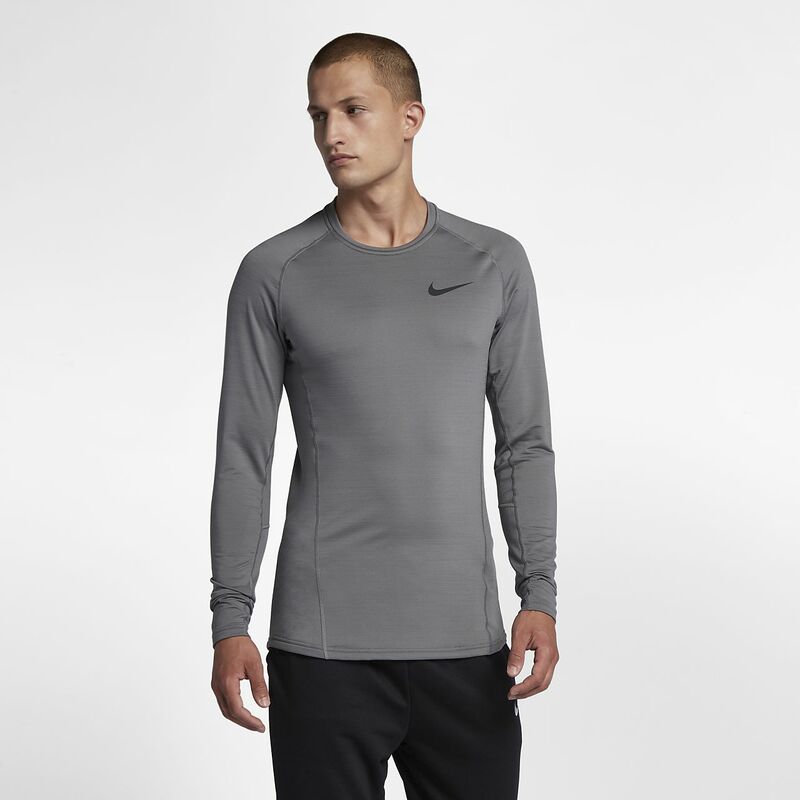 The Nike Pro Warm Men's Long-Sleeve Training Top is made from sweat-wicking fabric to help keep you warm, dry and comfortable during cool-weather workouts. The Nike Pro Warm Men&apos;s Long-Sleeve Training Top is made from sweat-wicking fabric to help keep you warm, dry and comfortable during cool-weather workouts. Fabric: Body: 88% polyester/12% elastane. Panels: 92% polyester/8% elastane. Have your say. Be the first to review the Nike Pro Warm.